Pinterest is a mega-mammoth album of great ideas and awesome pictures. Yes, you can find that perfect lamp or inspiration for a kitchen redo, the best wedding dress designs or that cool rainy day craft with kids. But, for smartpreneurs, it is more, much more than that! An awesome platform for Entrepreneurs to share your ideas, content and products, boost visibility, grow reach and ultimately monetize your business. Like their website says, Pinterest is full of possibilities to design your life. Does Pinterest for Business make sense? As a business owner, is it of value to you? Here are the top 5 reasons your business needs to be on Pinterest! It’s growing rapidly – get on the train! With over a 200 million Users, Pinterest grew by over 50% within the past year alone. Sure, it’s not the largest of social platforms, but this rate of growth means that its audience is highly engaged. Enough to attract new users, who might be your customers and collaborators. In this era of microscopic attention spans, that’s good news. While Pinterest is a huge factor in online purchases already, there’s more to it. Even when users are shopping in-store at brick and mortar locations, plenty use Pinterest to research ideas and options. 72% of Pinners use it to decide what to buy offline – something to keep in mind, for both online and on-the-ground businesses. 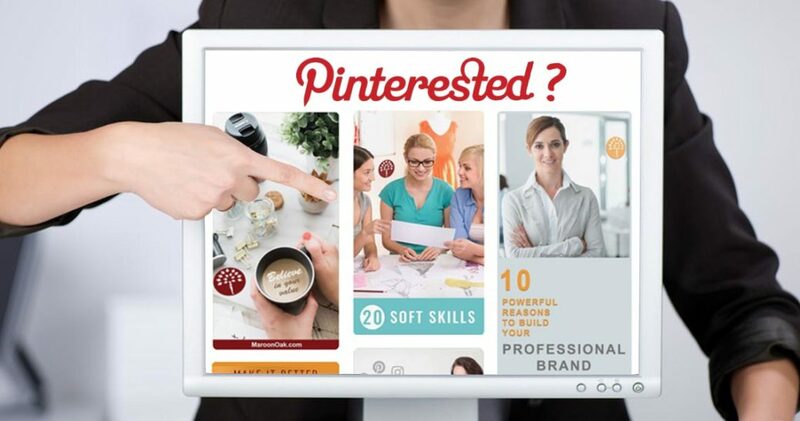 Whether you make custom cakes to sell in local markets, or retail your art on Etsy, your Pinterest presence can offer great advertising for you and establish you as a thought leader in your field. 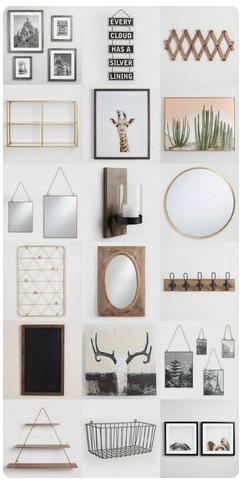 This Pin post from TomKat Studio, a Place for all Things Pretty showcases ideas to spruce up a wall grouped in an aesthetic way. Objects grouped creatively are a great source of ideas. Pinterest is the 2nd largest source of social traffic to websites – only Facebook drives more visitors. That’s a pretty awesome statistic given its much smaller base. 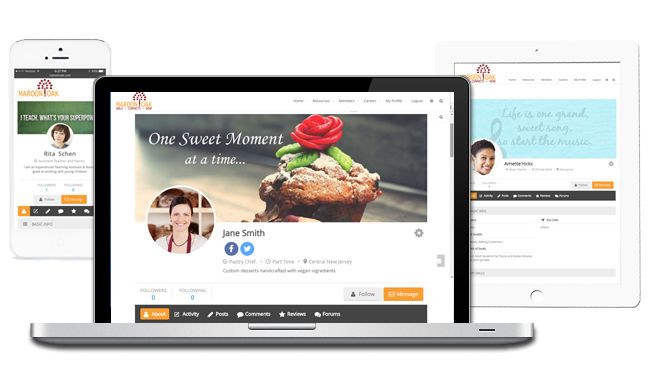 This platform is so designed that every Pin can can be linked to a web source along with a a short description. Half of the millennial population uses Pinterest – is that an audience you’re interested in? The majority of Pinterest users are women, but there is a growing population of men who use and pin on different topics. If people have something to say, they’re Pinning it. Pinterest is chock-full of content – currently, there are over a billion Boards with over 50 billion Pins. Not just product companies, but even services, non visual businesses and non profits are benefitting from using Pinterest! There are approx 14 million articles pinned each day as well, so it’s a great channel to build visibility for your services through content. A majority of the Pins represent products and brands, which is great news for product entrepreneurs. While Pinterest is an extremely visual, image based platform, don’t let that discourage you. As long as you have a website and a Blog, it’s a great way to hook visitors and spread awareness. 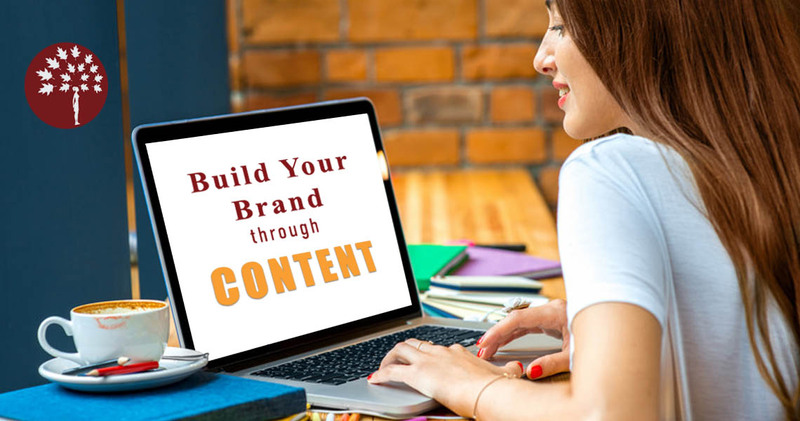 You can find a large number of articles like these on Savvy Business Owners, where business owners demonstrate expertise and sell their services through content. Pinterest users pick content through attention grabbing headlines. Life span – long live your Pins! Pinterest is a network that allows for long term engagement. While stats on this vary, most experts agree that a Pin has a much longer shelf life than other social media content, which tend to be time sensitive. If your post on Facebook or Instagram didn’t get much initial response, it might get cast into oblivion. Thousands on Pins get shared or repinned months after they have been posted, provided they look good, have the right keywords and link to something of user value. (More on all this below.) Modern Chrystal uses different themes to showcase their digital design services. How to use and maximize Pinterest for your Business – check out these 10 awesome steps! 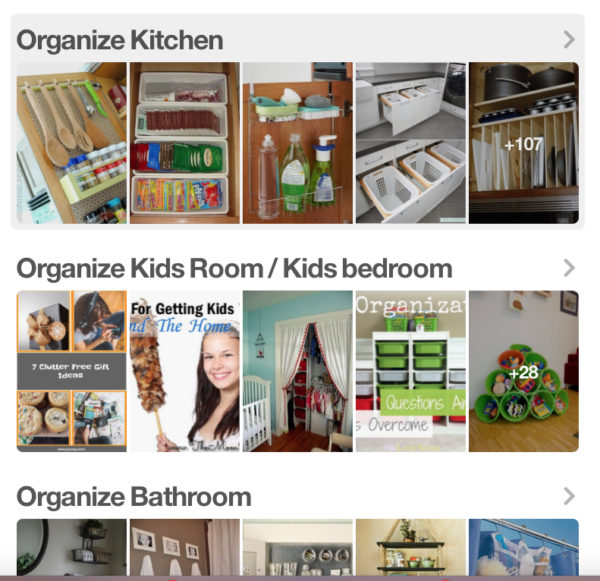 Pinterest is not just for product businesses! As an entrepreneur, blogger, VA or eCommerce business too, you can get leads and clicks on Pinterest. In your profile, don’t just post your company’s (or brand) name but also a few descriptive words because that’s what people see first. 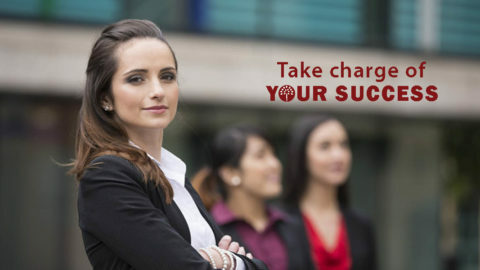 Instead of only writing Maroon Oak, a business name like ‘Maroon Oak | Free Business & Career Networking Platform for Women’ is not only more informative, it will also show up if someone is searching for words like ‘business’ or ‘community’. Set it up as a Business Account and if you want to convert a personal one, you can do that pretty easily too. The big advantage is the access to some pretty awesome analytics on traffic, clicks and usage. Verify your Website – this gives you another layer of advantage, particularly on the analytics. Plus, any Pins that come from your site will have your profile picture added next to them. It is literally an online a collection of Pins around a topic or theme. If you have a wellness business focused on Acupuncture, you can create a board that shares everything related to the flow of energy across the human body or self healing mechanisms etc. Jojoebi, which focuses on Productivity and Organization, has several Boards related to different elements of managing your spaces (image below). What’s more, they have split Organize your Home Board further into Sections (a feature Pinterest recently introduced) – this is extremely useful when the no. of Pins become too many. 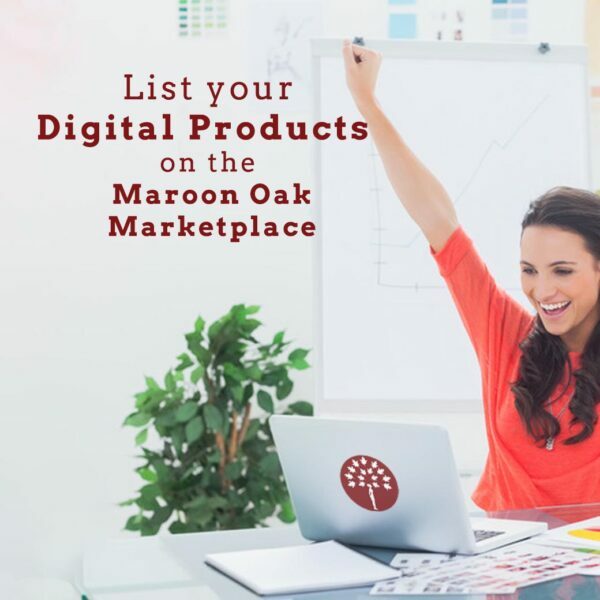 Maroon Oak is a business and career platform for women, so we have Boards on Women Entrepreneurs, Career Advice and Style, Women in Careers, Design for Success, each with a niche focus. 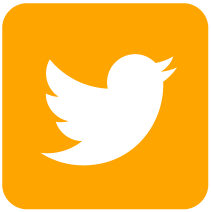 How can you design great Pins that attract visitors? Images – relevant and inviting are what make all the difference! Unlike other Platforms, though, images with text do better than those without on Pinterest. Another unique feature is that the preferred image size is vertical, so go with longer ones, ideally 800 X 1200px. Populate your board(s) with Pins that have strong visuals. It’s ok to post text on the Pin like a topic or a quote – in fact, it is highly recommended. You can go a step further and add a CTA (call to action) or a freebie. Ms. 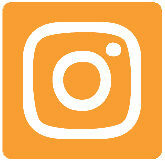 Virtual Maven, a Social Media and Branding Strategist uses this Pin (image A) with a headline, a topic and an offer too. But don’t sweat if you don’t have access to high quality images. 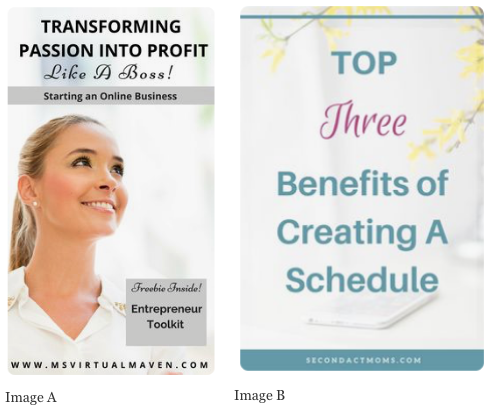 While they definitely help, using a generic image with text overlay can also convey your message, like this Pin from Best of Second Act Moms which uses a simple image (B) with the blog topic. Need free tools to help create good looking Pins? You can do this in many ways – common wording, use of color or theme. Many experts recommend visual consistency on your Boards to reinforce your branding. Woolly Wren, a Branding Company, uses color and typography in the feature image for every board to pull together a cohesive look for their Boards. Board covers with a solid background and similar typography! 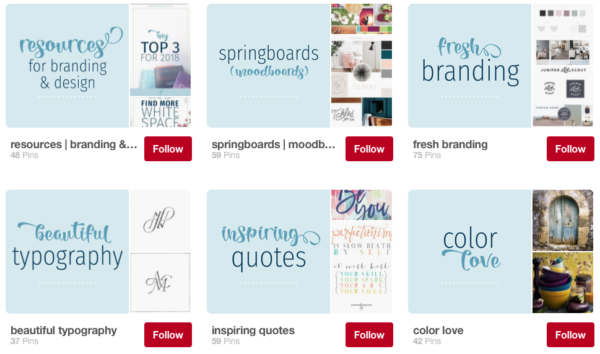 Jess Creatives Blog goes a step further – this board uses the same consistent styling for every one of their Pins too. While this is a stylistic choice, there’s no denying that it does help the users connect with the brand more easily. A consistent style makes your brand more recognizable. 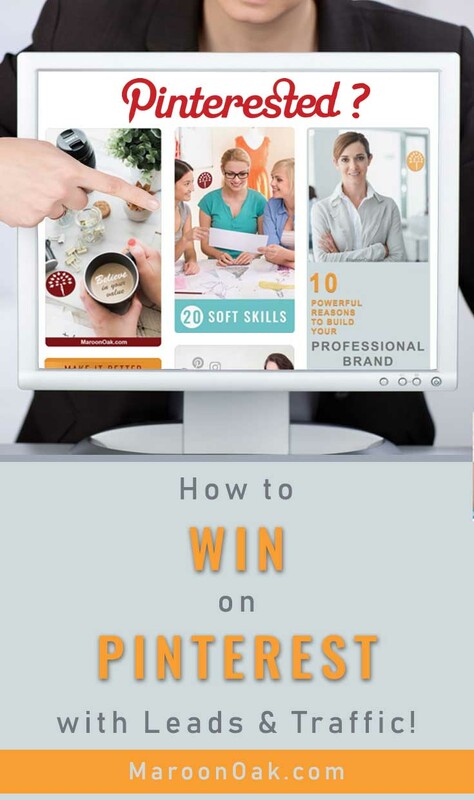 Success Tips for Marketing on Pinterest – Grow Fans & Followers! Experts recommend pinning at least 10 times a day, even as much as 30 times to gain a huge reach. But that doesn’t mean that you need to create that many Pins each day – simply find the Pins that you believe will be useful to your audience and ‘Save’ them to your boards. How does saving others’ Pins on your Boards help you? It makes your Boards content rich(er) – if you add 15 Pins that you created and 50 from other sources. The obvious gain is that Pinterest sees more Pins as more content, and has a higher likelihood of engagement. The side benefit- when viewers see these 50 Pins, many more will click on yours too. Booklandia repinned this on their board. Since every ‘Pinterest-er’ does this, your quality Pins are being saved by others too and hence seen by way more people than you could reach alone! 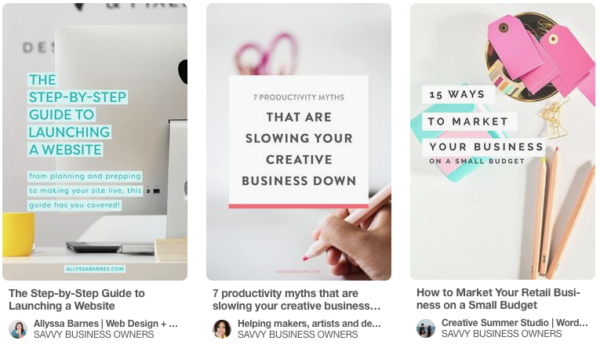 A smart idea is to separate your board – have at least one where you share only your content and add curated pins from other pinners to the rest. 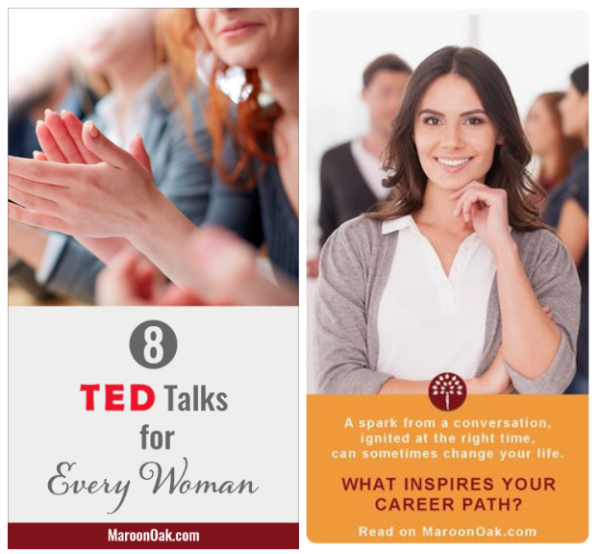 Maroon Oak has a board for Women in Business & Careers with our exclusive content. As our featured board, it’s an important way to represent our brand and showcase our content. 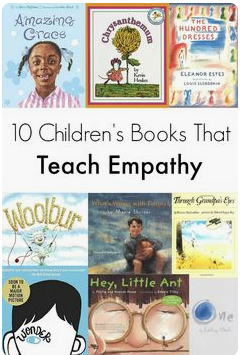 Booklandia, a children’s book subscription company for bilingual books, saved this Pin from another source to their Board Children’s Book Recommendations. They hope their customers would benefit from this pin and in turn like and even follow or at least revisit their Board. Our Inspiring Career Quotes board shares powerful ideas from across the Pinterest world – and not just their own – to motivate and inspire every professional. For SEO purposes, think of Pinterest like a search engine and write descriptions that are likely to feature in searches. Instead of fancy language, imagine how people post queries on Google, and write your descriptions accordingly. 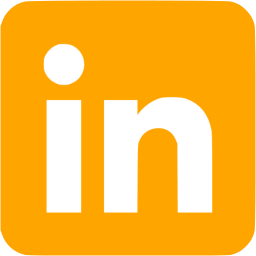 A keyword search on Soft Skills in Interviews showed up this Pin, whose description read – Interpersonal skills count but how to prove that you have them? 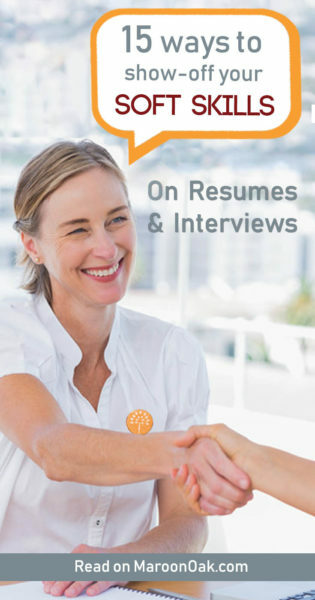 Here are 15 expert tips from the pros to help you ace soft skills on resumes & interviews. Do your Pins include relevant keywords? 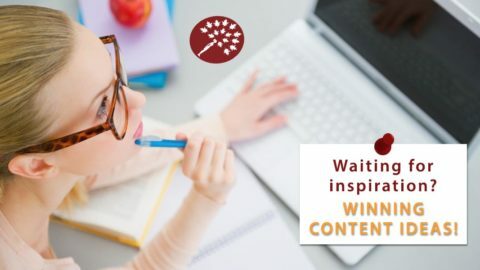 You will not only show up when someone is searching Pinterest but also on regular web searches too, so well written descriptors are a win-win. 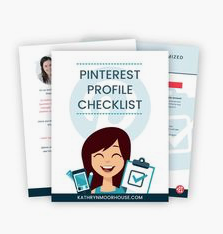 This Pinterest Profile Checklist from Kathryn Moorhouse, Pinterest Marketing for Business has several important keywords in the text for the Pin – “Pinterest is NOT a social media platform… It’s a visual search engine. Set up a Pinterest Account that is SEO Optimized for your business”. And, there is a key phrase on the image too. A Google search for best Finger Foods for a Party – something I always struggle to put together – gave me the results in the image below. Not only did it show finger foods, but also related words like Appetizers and Healthy. And of course, the keyword Super bowl, which is always high on searches during January. Keywords will help you on Google searches too! When I clicked on the link, Pinterest had over 1000 Pins with fantastic pictures. I was able to further refine my search by adding words like cheese, low-calorie etc. All of those pins had the above keywords in their description and a few more, to boot. Ensure that you name your files with the keywords. Search Engines (like Google and Pinterest) read your text. – so instead of saving a file as ‘Jane Smith Jan 2018’, an abbreviation or a mis-spelling, call it ‘Crayon crafts 3 year olds 2018’ or something that tells the search engines a little more about your image. Use Alt-Tags smartly – this is nothing but a descriptor (or alternate) text for your images. It helps the millions of bots crawling the web know more about pictures. Think of it as – what would you want your viewer to know if they couldn’t see your image? 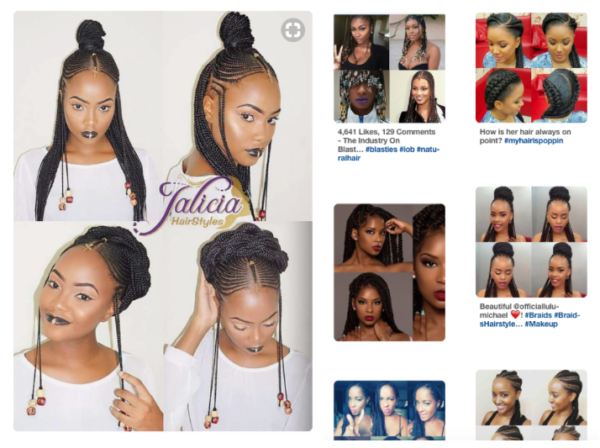 A big reason for picking your images carefully is a powerful tool called Visually Similar, where Pinterest recommends Pins that look similar to the one you selected. In this Pin from Illuminate your Tunnel when I clicked on the square on the top right in the first image, these are the results I got from a visual match. I’ve tried this tool many times and the results are striking! The Visually Similar tool on the left image offered up results on the right! Different strokes definitely work for most folks – don’t stop at one Pin for an article or even a promotion. Your content is probably relevant to more than one niche audience. A green salad belongs in many boards – someone looking for healthy, fresh food as well a vegetarian or even a Broccoli lovers group. Why not create multiple Pin images for the same content, incorporate a novel description in each, and reach more people. Here’s an example of one article and two Pins. The first was picked by success and mindset related boards and 2nd Pin did well on Inspiration boards as well those for Career Quotes. One article, 2 pins, each with a different message! Imagine your data updating automatically if you have a price drop on a product. And your logo and company name showing up in every Pin no matter whose Board it is on. Rich Pins are a great way to add info, credibility, visibility and a strong tool to amp your brand. This is how Pinterest explains them. Here’s how a Rich Pin would look. A Rich Pin will show ‘Author’ name, date and description. Others will not! Adding Rich Pins is a slightly more technical process, but you need to it only once. Given the shelf life of Pins and the marketing possibilities, it’s well worth it doing it yourself or hiring someone for it. Here’s how you can add Rich Pins to your Pinterest account. If you have WordPress and the Yoast SEO Plugin, it makes life easier – read this ‘easy’ way to set up Rich Pins. Why go alone – Collaborate! Pinterest is great for collaborations too. A Group Board (sometimes, also called Shared or Collaborative Board) allows more than one account holder to Pin – like a community bulletin board. More Pins equate more content and ultimately more traffic. Most groups seek Pinners who post content in their niche. Holly Bertone’s Group Healthy, All Natural Living, Essential Oils has over 40K Pins, contributed by more than 173 collaborators (176 in this case). Owners of many group boards invite collaborators all year round with a precondition for an account to follow them. It’s great way to increase your follower base if you manage a board attractive to others. Here’s a great resource if you’re just starting out and looking for Pinterest Groups to join. If you want to add people to your group, go to the board, click on the ‘+’ (image below) and invite people via email or by their Pinterest Id. A group admin can invite Pinners via email or username. 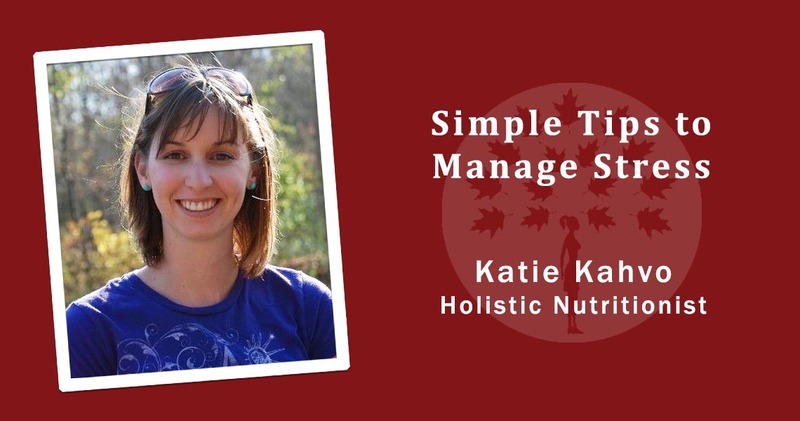 If you aren’t on Pinterest or haven’t started Pinning yet, don’t wait anymore! Even if you aren’t seeing results on traffic and clicks right away, don’t worry. Chances are high that you will have a lot of creative fun and get that inspiration going, full throttle! 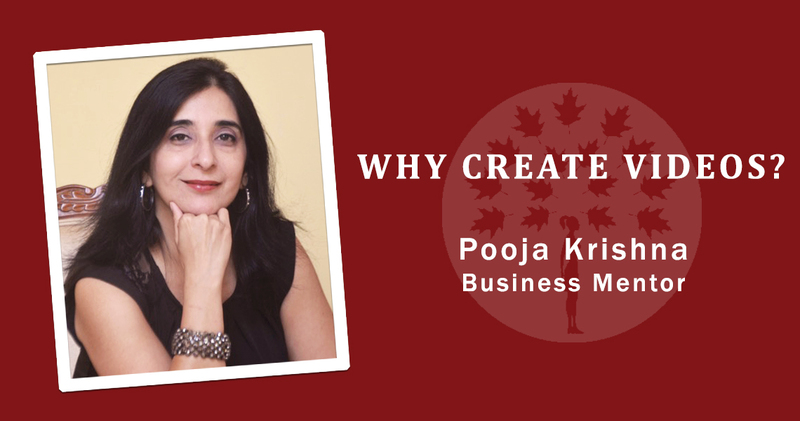 Pooja Krishna is an Entrepreneur, Consultant and Mom. 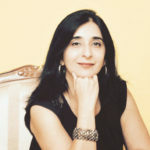 She has worked both in large corporates and managed startups over the last 20+ years. A co-founder of Maroon Oak, she’s also founded Win Thinks, a small business consulting company, and Trading Paces, which educates amateur and pro stock traders. She blogs and teaches workshops about Brand Strategy, Social Media & Future ready Career Solutions. She loves being a Classroom Mentor and teaching students across the U.S. about Job Skills and Entrepreneurship. Read her interview on Huffington Post. I’ve read so much about Pinterest boosting a blog’s ranking but I am yet to try it. There’s just too much going on on Social Media I don’t know how to manage everything. Thanks for these tips! Thanks for this detailed guide! As a newbie to Pinterest, it’s definitely helpful. I really need to step up my pinterest game! So important for traffic! Great post! 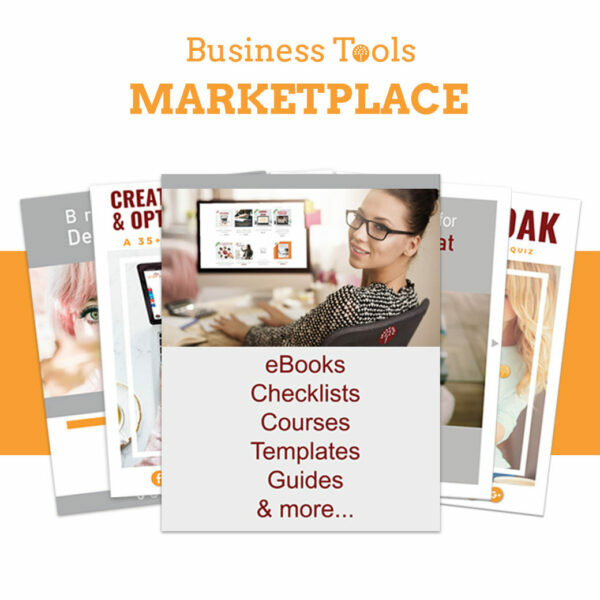 Very practical and useful ideas for how to maximize Pinterest for business owners! Thank you!! Pinterest is so underrated. I only recently started using it but I’m already hooked! It’s also done wonders for blog engagement. I am surely going to use the tips and tricks shared on my blog. Thanks for explaining it nicely! Such a great post! Pinterest has been huge for my blog’s growth! Thank you for this! I’ve been trying to start utilizing this for my small business as I know it’s a super useful tool, just wasn’t sure where to start! Great article. 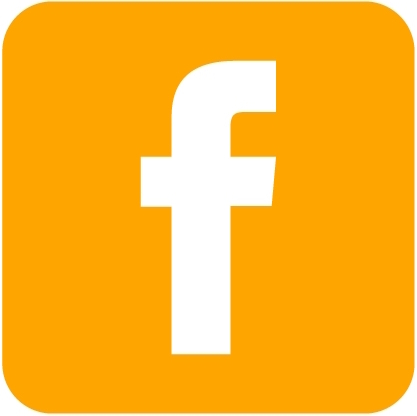 I have found that traffic from Facebook are browsers and traffic from Pinterest are BUYERS! Awesome post. I’ve been seeing a lot about Pinterest lately and I’ve definitely been considering it. 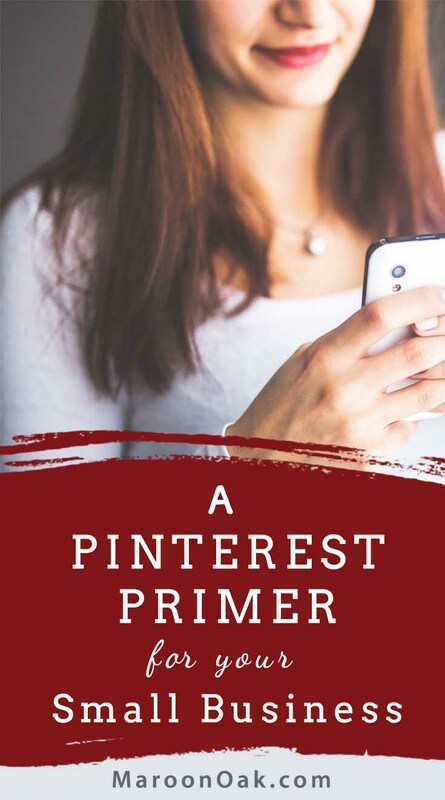 I do have an account now but I’m not sure how much I want to expand my blog through social media platforms so this was a great and informative post that will definitely help me choose social media platforms and why Pinterest is an option. Wow, the rate of growth for Pinterest last year was crazy! I only started an account for wedding inspiration, but sounds like I need to get into it more! Thanks for the tips! I love Pinterest, especially for organizing trips, I always find the coolest places there. Oh I genuinely need help with Pinterest!! So this article has come at precisely the right time. If you do have any other tips or tricks for such a newbie like me then I would love to hear them as Pinterest is scary!! Very very very timely. This is my to-do for the month of February! Great tips! I would LOVE to start generating followers on my Pinterest! I haven’t created any of my own pins yet, but would like to soon. 🙂 saving this article.